Hackensack NJ Packages for Any Event! WHAT ELSE CAN WE ADD TO OUR 2 MINUTES 2 WIN IT, IN ORDER TO MAKE FOR A BETTER TEAM BUILDING EVENT, PARTY OR NIGHT OUT? We have so much more to make for an awesome night out like: “Escape Room” where your group will be be working together solving riddles, puzzles and many other mental challenges in some awesome team-building activities and group fun.  “Axehole’s Hatchet House NJ”, imagine a cross between Bowling and Darts but you play with 1.5-pound axes… I know right!! “Human Bumper Balls” in which you and your friends will strap into giant inflatable balls and prepare for a human version on “Pinball”. “You Smash It”, this is it! A room in which you will get to choose between a Bat, Sledgehammer or Crowbar and Smash anything in the room… SERIOUSLY! “Air Soft” just like paintball however without the mess and the pain. We have pump action shotguns, hang guns and semi-automatic machine guns. Prepare to enter a room filled with fog, light effects, music and many more effects that will make it challenging to see and blast the opposing team. “VRcadeNJ” gives you the opportunity to experience everything you have always wanted to. Blink and find yourself on the beach in Maui, Tahiti, shores of Australia, Paris or anywhere you like. Experience flying, falling, creating 3D art that you are inside of then teleport outside of it. Blast away in a real-life zombie apocalypse, test your Teambuilding skills as you try to disarm a bomb with your team. What about the “Rage Room” to let some steam out and have a lot of FUN! Rage Room is exactly like, yoga, meditation, and psychotherapy…….well, not exactly. You enter into a specially designed room, we provide you with your PPE (personal protective equipment), select your weapon of destruction, blast your favorite music and have a smashing good time breaking almost everything in the room to pieces (except the actual room itself). When you’re done you don’t even have to worry about cleaning up, we take care of that for you. Go ahead, break all you want we’ll get more! Regular Cheese Pizza + Beverages included! $10 additional per person to make all of your activities in your multi-activity package private and get a private room for dining. Or send us a message. We will answer you as soon as possible. Copyright © 2017 2 minutes 2 win It - All Rights Reserved.